Just enter your name & e-mail below to get schedules, prices & web specials! Enter your phone number if you would like us to call you to set up your first lesson. PARENTS: Do you know the best kept secret to building your child's Self-Esteem and Self-Discipline? Read below about the benefits of our Martial Arts program that will be invaluable in your child's life. 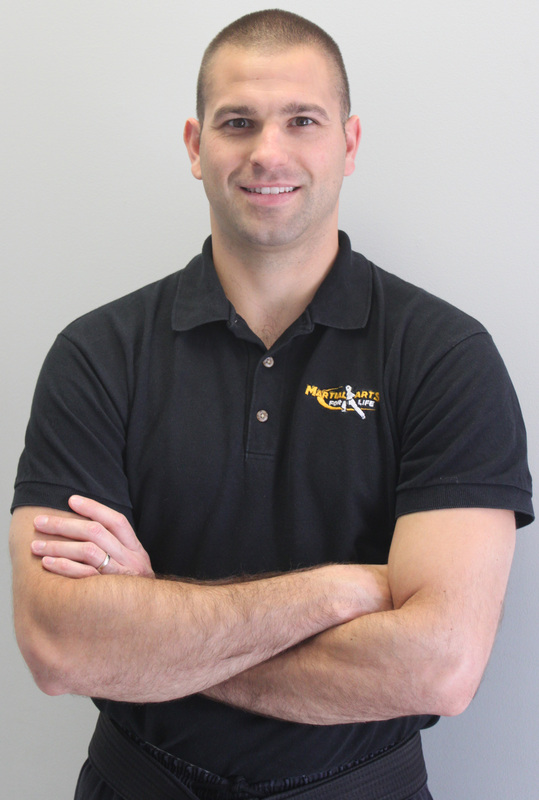 My name is Rich Brugger and since 2005, my wife Michelle and I have owned and operated one of the most successful Martial Arts schools in the New Providence, NJ area: Martial Arts for Life. 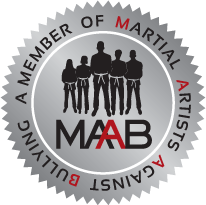 Our curriculum is a unique blend of martial arts styles and places strong emphasis on valuable life skills such as perseverance, focus and self-discipline. The result: As students learn highly effective self-defense techniques, they experience new levels of confidence and empowerment. For over two decades I've been nurturing children like yours with character building tools found only in Martial Arts. No other sport or activity can match them. I have consulted thousands of parents and almost all of them share the same concerns and priorities for their children. Regardless of neighborhood or status, parents talk about the importance of postive influences, organized activity, developing discipline and confidence, goal-setting and physical exercise. I'm happy to report that many parents also found that Martial Arts training can accomplish all these objectives. We teach why good nutrition is important and we encourage our students to eat a healthy diet. We teach our students that martial arts is a lifestyle and part of that lifestyle is being a martial arts athlete who eats healthfully and respects his or her body. We lead our students through dynamic self defense workouts that improve physical conditioning. Each class provides cutting edge principles designed to develop our students into capable and fit martial arts athletes. We build confidence in our students so they can stand up and say, "no" to negative peer pressure. We provide training that creates an achievement-oriented culture and a positive peer group for children to participate in. We teach confidence and self-defense so our students don't have to be afraid of bullies. Over the past two decades we have developed a proven system that systematically teaches confidence and develops a high self-concept for youngsters. We further educate all of our students on how to effectively deal with bullying through the Martial Artists Against Bullying curriculum. We inspire our students to become enthusiastic and motivated in school. We have a structured school success program that tracks and rewards academic progress. We also sharing best practices for students as part of our "Success Course for A+ Grades." When your child uses the discipline of Martial Arts to conquer her fears, she has the power to transfer that to all other areas of life. 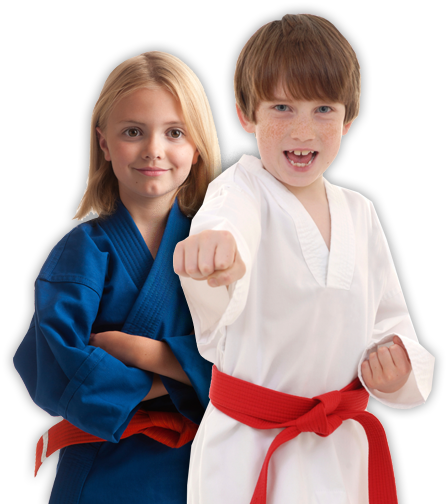 Martial Arts lessons are the best way for your child to develop to a continued feeling of confidence and achievement. When it is time for your youngster to move up in rank, we require your permission and the permission of her school teacher. That is another one of the many ways we encourage good academic performance. Your Child will develop the "I Can and I Will" attitude that will, more than anything, set them apart and make them a leader. Kids develop a sense of Self-confidence by becoming good at something. With consistent practice and effort on their part they will become good at Martial Arts. I speak to many parents who express concern for their child sticking with the program once they begin. Because they will be having fun while learning, they will be more likely to stay motivated to stick with the training. At our Academy we closely monitor our students and help them through any challenges they may experience. Plus, our team of instructors are expert teachers and motivators. The Martial Arts for Life "Ten Point Success System"
Positive Role Models: The biggest asset of Martial Arts for Life? Easy. The instructors. What you will notice (and so will your child) is that we care about each student individually. We are totally committed to helping each child reach his or her potential. We are life-long Martial Artists who have a great love of helping others benefit from the Martial Arts. Physical Fitness. It's hard to feel good about yourself when you are out of shape physically or when your athletic skills have not been fully developed. Our belief is that regardless of how un-athletic a child may seem, there is an athlete inside all of us. When a student feels their physical skills skyrocket it's not long before their self-image will follow suit. A High Energy, Exciting Environment: Many kids have grown accustomed to virtual activities (computer and video games, television, etc.). Participating in an exciting, high energy environment, focused on on actual activity, will give your child a very real sense of achievement! Regular Incentives for Effort and Achievement: The belt system of Martial Arts, regular positive feedback and recognition of accomplishment, and systemized incentives for improvement will lead your child into the "Yes, I Can!" attitude you've always wanted for him or her. The "Message of the Week. ": Regular exposure through our "Message of the Week," to systematic instruction, accompanied by exercises in the lessons of respect, discipline, focus, persistence, courage and confidence. Most of our Martial Arts for Life parents name this as their favorite part of the program! A Proven System of Skill Development: No fancy theories or hard to understand concepts here. Our instructors are experts in teaching the actual SKILLS of listening and focus. In fact, we'll be teaching these to your child the very first class. A Series of Positively Constructed Challenges that will build your child's self-confidence. You will be delighted as you see your children confidently move outside their comfort zone. As the weeks go by, you will smile with pride as your son or daughter moves from challenge to challenge, their confidence soaring at each new accomplishment. An Atmosphere of Respect: You will watch with satisfaction as your children learn to give respect and earn respect. Most importantly, they learn the essential lesson of Self-Respect. Order and Structure. Even though the atmosphere is friendly and supportive, Martial Arts training is not "play time." You will be delighted to see how your children develop focus and persistence in our orderly, structured environment. A Friendship Based Environment: If you are expecting the old, harsh, authoritarian, military style Martial Arts training, you are going to be sadly disappointed. When you visit us, you will find a friendly, supportive environment. That atmosphere of friendship, support, and respect will give your child the support system he or she needs to succeed! You can call us now and we can make arrangements for your child to do a complimentary introductory lesson. This is the best way for you to see how beneficial our program can be for your child. During this lesson you can judge for yourself. Call us and we'll schedule a mutually convenient time. If you live in New Providence, NJ or any of the surrounding areas in Union County NJ, you are within driving distance of our Academy. Student Goal Analysis: We'll spend time one on one discussing exactly what you want your youngster to learn and accomplish through Martial Arts training. Martial Arts for Life is a full-time, professional facility. We pride ourselves on providing a safe, enjoyable experience for ALL of our students. Our proprietary children's curriculum has been designed with your child's safety in mind. In addition, we have a fully padded training floor (which is cleaned daily and disinfected). Our Academy offers a unique academic rewards and accountability system that allows us to partner with our students and their families to encourage excellent academic performance. Our system has been developed over the last decade and is not available at any other martial arts school. We will NEVER share or sell your information to anyone. If you enter your phone number we will call you to set up your first lesson. Martial Arts for Life is centrally located in New Providence, NJ. We offer martial arts training and kickboxing to residents of Berkeley Heights NJ, Summit NJ, New Providence NJ and all surrounding areas.